An immunosenescence clinical trial using TruActive MPC 85 was published this week in Frontiers in Immunology. Read “Use of UV Treated Milk Powder to Increase Vaccine Efficacy in the Elderly”. Tamarack Biotics announces the initiation of a clinical trial to determine TruActive’s benefits in restoring immune health to patients undergoing chemotherapy. TruActive should strengthen immune function and keep people well. Additionally, it has been hypothesized that TruActive may reduce toxicity and potentially increase the efficacy of the new class of immune modulating cancer drugs. We are very excited to participate in this exciting research. Consumer and health trends force some products to decline, and others to ascend. But in the face of these trends, new innovations in food science are still playing with long-accepted formulas, trying to keep markets open and expanding. Researchers and innovators in the lab working on functional ingredients and sweeteners keep finding ways to further disrupt and stretch outt established categories. While the dairy industry has frequently touted its nutritional superiority to dairy alternatives, raw milk is an area of unrealized potential in the category. In sweeteners, sugar replacements have frequently struggled to prove themselves superior in flavor. But breakthroughs are made every day, and there’s a new set of ingredients with the potential to shape the future of beverage. Read the full article here. [Mary Ellen Shoup, Dairy Reporter] Preliminary clinical trial results have revealed that Tamarack Biotics’ milk-based TruActive MPC 85 ingredient has more than double the antibody response compared to soy protein sample in individuals over the age of 60, the company said. Read the full article here. 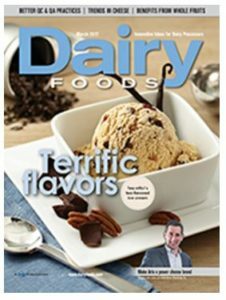 [Adi Menayang, Nutra Ingredients USA] Rich with lactoferrin and immunoglobulins, a new product on the market will bring finished product makers a protein powder that is nutritionally closest to raw milk, its maker claims. Read the full article here. Fresno, CA, September 20, 2017 – Tamarack Biotics LLC today announced the completion of a self-affirmed “Generally Recognized as Safe” (GRAS) review of its TruActive MPC 85 product. This approval enables Tamarack to begin sales of the world’s first milk protein concentrate that contains more immune active proteins than any other product available today. Fresno, CA – September 15, 2017 – Tamarack Biotics announced the results from two clinical trials, which tested TruActive’s ability to stimulate elderly immune systems and to reduce asthma symptoms in a mouse-model experiment. TruActive is the world’s first dairy product to gain regulatory approval for an alternative to pasteurization. Immune systems weaken with age, and until now, there has been no known way to stimulate and strengthen them. This condition is known as Immunosenescence. In cooperation with UC Davis, Tamarack completed a double-blind, placebo-controlled Tetanus vaccine response clinical trial on 35 adults over 60 years of age. Twice a day for 4 weeks, the subjects consumed 7.5 grams of TruActive or a soy protein comparator and then were administered a Tetanus vaccine. After four more weeks of consumption, blood tests confirmed the level of antibodies produced by each subject. The subjects who consumed TruActive MPC 85 averaged a 12.7-fold Tetanus antibody increase, while the subjects who consumed the soy protein only experienced a 5.8-fold increase. A similar trial conducted by UC Davis in 2010 showed only a slightly statistically significant increase in whey protein consumption compared to the same soy protein. Fresno, CA, March 1, 2017 – Tamarack Biotics LLC today announced the completion of a self-affirmed “Generally Recognized as Safe” (GRAS) for its TruActive™ NF product. This approval enables Tamarack to begin sales of the world’s first food ingredient that contains more immune active proteins than any other product available today. Bob Comstock, Tamarack Biotics CEO, stated, “Our patent pending process enables TruActive™ products to retain more of the natural compounds found in raw milk than ever before. Scientific research demonstrates that these compounds provide valuable benefits for sports and human nutrition alike. Tamarack is now conducting or planning three clinical trials to prove the benefits our products provide for elderly vaccine response, allergy prevention and therapeutic impact on asthma. The GRAS approval we received today represents a critical step in our ability to positively impact people’s health”. Tamarack Biotics develops and produces dairy-based food ingredients that retain more of the immune active proteins and other thermally sensitive compounds than any other food ingredient. 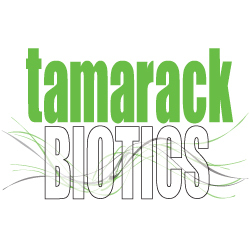 Tamarack Biotics utilizes non-thermal pathogen reduction and low-temperature drying technologies that fully dry milk and milk concentrates into stable powders at temperatures low enough to protect the thermally sensitive compounds, while achieving the same safety standards as traditionally pasteurized products. This press release may contain forward-looking statements within the meaning of Section 27A of the Securities Act of 1933 and Section 21E of the Securities Exchange Act of 1934. Forward-looking statements are those other than historical statements of fact, and can be identified by words such as “believes,” “projects,” “anticipates,” “forecasts,” and the like. These statements are based on the Companyʼs estimates, beliefs and assumptions as of the date of this press release and are not a guarantee of any future performance. Forward-looking statements are subject to certain known risks and uncertainties, which are detailed in the Companyʼs periodic filings with the SEC available at www.sec.gov. Management undertakes no obligation to update information contained herein, which is subject to change without notice. Fresno, CA 29 October 2016 – Today at the UC Davis hosted, International Milk Genomics Conference, Dr. Kasper Hettinga, of Wageningen University in the Netherlands, presented a paper on titled Damage to potential allergy-preventing proteins by regular heating and UVC treatment, which featured results from research jointly conducted by Dr. Hettinga and Tamarack Biotics. Dr. Hettinga’s results demonstrated the ability of UVC to protect the immune active proteins, which are thought to be responsible for raw milk’s ability to prevent children from developing allergies. Bob Comstock, Tamarack Biotics CEO stated, “the research conducted by The PASTURE Team including Erika von Mutius of University Hospital Munich, clearly demonstrated that raw milk consumption, as opposed to living on a farm, prevented children from developing allergies. We hope to extend this research into a commercial product that contains these same allergy-preventing compounds through our innovative non-thermal pathogen reduction and low-temperature drying technologies. Dr. Hettinga’s work proves the ability of UVC to protect these immune active proteins, which are thought to be responsible for raw milk’s allergy preventing ability”. This press release may contain forward-looking statements within the meaning of Section 27A of the Securities Act of 1933 and Section 21E of the Securities Exchange Act of 1934. Forward-looking statements are those other than historical statements of fact, and can be identified by words such as “believes,” “projects,” “anticipates,” “forecasts,” and the like. These statements are based on the Company’s estimates, beliefs and assumptions as of the date of this press release and are not a guarantee of any future performance. Forward-looking statements are subject to certain known risks and uncertainties, which are detailed in the Company’s periodic filings with the SEC available at www.sec.gov. Management undertakes no obligation to update information contained herein, which is subject to change without notice.